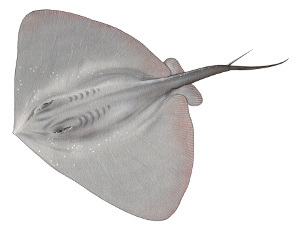 We are making changes to ray, skate and guitarfish fishing rules. These new rules commence on Tuesday 7 November 2017. Require these species to be landed whole so they can be measured by Fisheries Officers. An education and awareness program will be conducted to educate fishers about these new rules. - the food and enjoyment they bring to some recreational fishers and seafood consumers. These changes are in response to community concern about the cruel treatment of rays by a small proportion of fishers. In 2017, there has been increasing community concern in response to the killing of large smooth rays and fiddler rays. - expects all Victorians to engage in responsible fishing which means respecting rays, banjo sharks and all other fish and treating them humanely. - believes that the fishing rules for rays, skates and guitarfish need updating to recognise and better balance all of their values. - to propose new ray fishing rules that are balanced, respectful and socially acceptable. 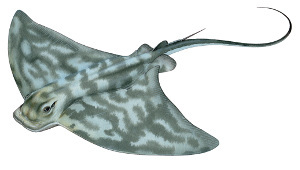 Prohibit the take or possession of stingrays, skates or guitarfish greater than 1.5 metres in width. Reduce the combined daily bag limit for rays, skates and guitarfish from 5 to 1, which must be less than 1.5 metres in width. 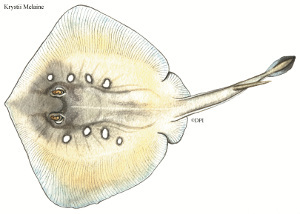 allow recreational fishers to catch and keep a ray, skate or guitarfish that is smaller than 1.5m wide. protect large rays (bigger than 1.5m wide). Prohibit the take of these species within 400m of any pier, jetty, wharf or breakwater. recognises that piers, jetties, wharves and breakwaters are the main locations where people interact with them. This rule enables Fisheries Officers to determine whether a fisher has obeyed the 1.5 metre maximum size limit. The bag limit is the maximum number of fish that a person can catch and keep in any one calendar day. Carcass form means fishers can only gut, gill and scale fish they want to keep. Filleting or cutting fish into smaller pieces is not permitted. Remember, all unwanted catch must be returned to the water immediately and with least possible injury or damage. Fines apply.